The Best Food Has Gotten Even Better! 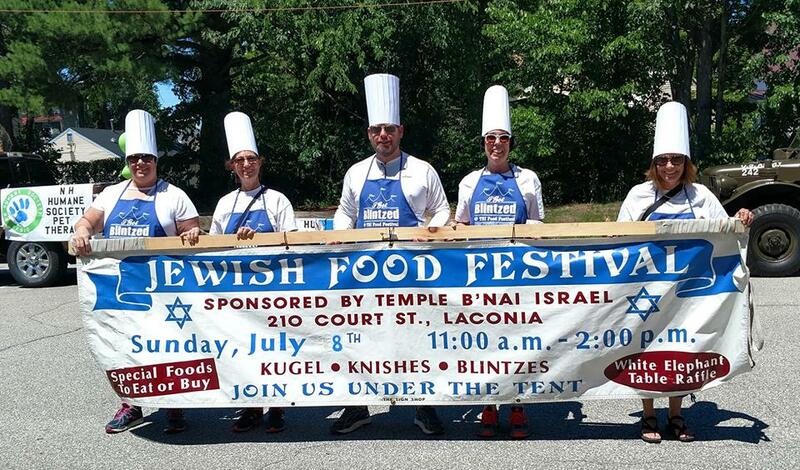 Once again, THE event to attend this summer is the 22nd Annual NH Jewish Food Festival at Temple B’nai Israel in Laconia on Sunday, July 14th, 2019 from 11 a.m. to 2 p.m. The Jewish Food Festival in Laconia ranks among the best due to TBI’s talented cooking crew of women and men who have been gathering before Festival Day for planning and recipe selection as well as participating in dozens of cooking and baking sessions in the TBI kitchen. Come meet old and new friends from the community at large, both Jewish food connoisseurs and rookies alike. All are welcome! 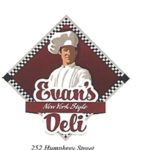 The main feature of the Jewish Food Festival is, without a doubt, the corned beef, pastrami and tongue that we bring from Evan’s New York Style Deli of Marblehead, Massachusetts. Evan’s meats are cooked on premises, in his restaurant, and our dedicated volunteers make the trip to bring these delicacies to New Hampshire. In addition to Evan’s deli meats, our TBI chefs cook up some of the best home-made Jewish style brisket. On July 14th, have a sandwich filled with your choice of pastrami, corned beef, tongue or our home-made brisket, on rye bread or a roll, served with a pickle and coleslaw. Round out your meal with cheese blintzes or knishes ( meat and potato, and potato) and don’t forget dessert! Choose from a vast array of assorted home baked cakes, cookies, including strudel, and rugelach. Come for lunch and eat under the tent at Temple B’nai Israel at 210 Court Street in Laconia. Credit cards are accepted. Questions should be directed to foodfestival@tbinh.org. Pre-order for pick-up (most items are packaged and frozen) on Sat July 13th and Sunday July 14th. A limited supply of these items will also be available on Festival day, frozen and ready to heat at home – while supplies last.